Roses are beautiful and popular flowers. Most varieties bloom all summer long, and they come in a wide range of stunning colors, shapes and sizes. However, to successfully grow roses in Ohio, you must first understand the climate. Ohio encompasses gardening hardiness zones 5 and 6, which means that it has temperatures as low as -20 degrees F. Temperatures this low mean you need to carefully choose your roses and tend them diligently. Choose the correct roses. Climbing roses tend to be less hardy than shrub roses. Many variety of roses are not hardy enough to survive in zones 5 and 6. Some variety of roses that do survive in those zones include many popular hybrid tea roses such as the multicolored "Peace" rose, the fragrant "Mr. Lincoln" and the pink "Friendship" rose. Choose a good location for your roses. They should get at least 6 hours of full sunshine daily. The hole should be twice as wide as the roots. The roses should be planted at least six inches apart and ideally 12 inches. 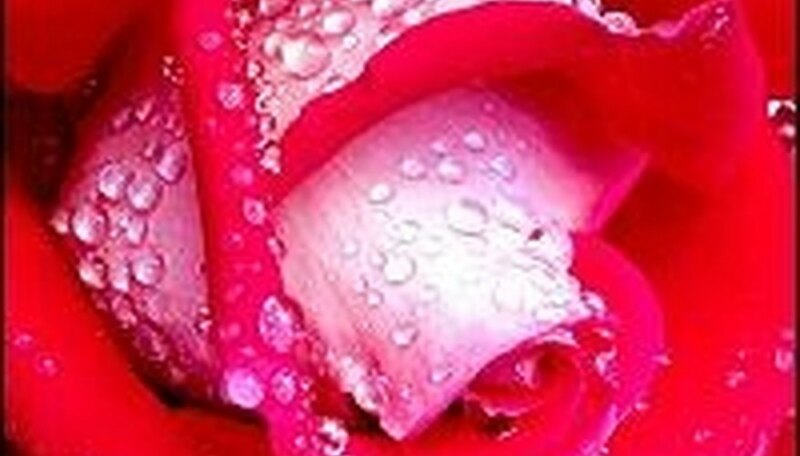 After planting your roses, water them right away. You may also choose to feed them with plant food. Once your roses start to grow in the spring, you should fertilize them regularly--every 3 to 4 weeks--or according to the directions on the package. Take care of your roses. Roses need about one inch or water per week. Ohio gets a good amount of water during the spring, but you should still monitor the amount of water your roses are getting. 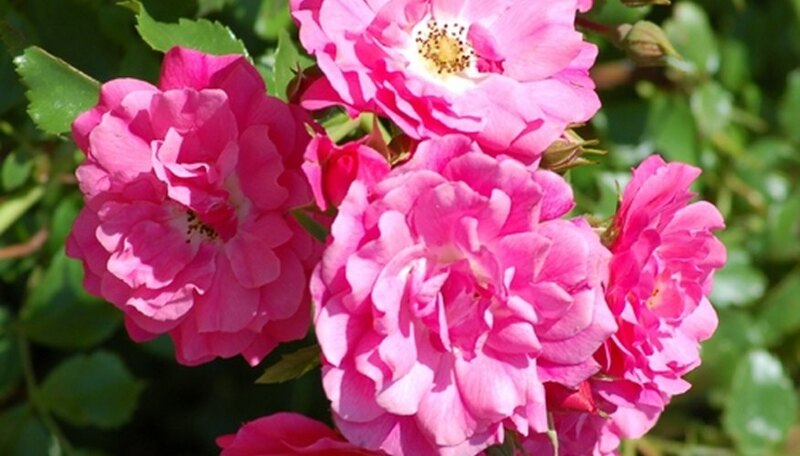 Mulch your roses also with any organic material such as wood chips or grass cuttings. To encourage new blooms, deadhead the spent roses periodically. Protect your roses. Check for spots or insects frequently. If you see any, trim off the affected area and take it to your local nursery to see if someone can help you find a spray to treat the problem. Prepare your roses for autumn and winter. Stop feeding them in early autumn so they don't produce new buds. After the first hard freeze, which usually happens in late October in Ohio, mound the soil up around your roses about a foot high. In early November, wrap the entire rose bush in burlap. Do this for all of your roses. Choose roses that are similar in shape for a more uniform look. For example, several bush roses look nice in a row. Climbing roses do not usually grow well in zones 5 and 6. Tips for planting and growing bare root roses.